Cherangany Member of Parliament Wesley Korir has revealed his intention to table a motion of impeachment against sports Cabinet Secretary Hassan Wario following Team Kenya’s poor treatment at the 2016 Rio Olympics. “I am bringing a motion of impeachment against CS Wario in Parliament. I have already talked to MPs, we need to make it and change the ministry,” said Korir. “The CS has to go. He was there and he did nothing even when we were being taken to the shanties. I called him but he didn’t pick up my phone (call). “I have talked to him since, even while we were there I told him and the Deputy President (William Ruto) that things are not right here, that they are not being told the truth by one person, they don’t want to listen to other people because of this one person,” he alleged. “I was hoping he was going to say (when he called a press conference last week) that ‘because of mismanagement under my leadership I am stepping down as the minister’,” he observed. 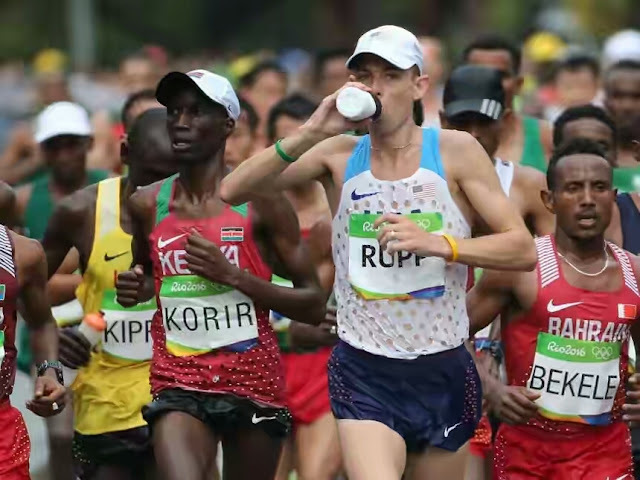 Korir said he has also prepared a report which has recommendations on how to conduct national trials and on how to pick the team because the disaster starts when you pick the team wrongly. Korir alleged that some of the runners in the 200m, 5,000m and 10,000m carried injuries to Rio and thus were not ready to run. “They would tell me ‘Mheshimiwa I am here but am not ready to run’. So you are taking people as if you are forcing them instead of really making them feel like they want to be there,” he claimed. But despite his quest to see Wario vacate Kencom House, Korir was in agreement with the CS’s decision to disband Nock. “I think it’s the right direction towards the right place, but we are only going for the little fish leaving the big fish,” he said.